Altus is an active participant of several industry bodies, associations and societies and contributes to industry conferences, regulatory consultations and standards development on a regular basis. AMPS is the main trade body that looks solely after self-invested pensions, or member-directed pension schemes to give them their proper title, such as Self Invested Personal Pensions (SIPPS) and Small Self Administered Schemes (SSASs). AMPS has in excess of 200 member firms representing all parts of the industry: SIPP providers, SSAS practitioners, pension lawyers, software developers, banks and investment houses. BCS, The Chartered Institute for IT, champions the global IT profession and the interests of individuals engaged in that profession for the benefit of all. The function of BCS, established in 1957, is to exchange IT expertise and knowledge, support practitioners and set standards and frameworks. BCS has a worldwide membership of over 70,000 in over 100 countries. As the premier professional body for the global financial services profession, the CII promotes higher standards of integrity, technical competence and business capability. With over 100,000 members in more than 150 countries, the CII is the world’s largest professional body dedicated to insurance and financial services. 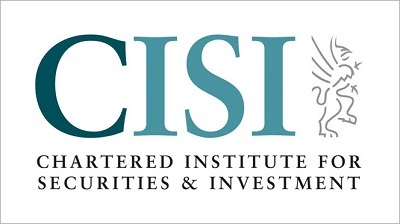 The CISI is the largest and most widely respected professional body for those who work in the securities and investment industry in the UK and in a growing number of major financial centres round the world. They now have more than 40,000 members in 89 countries. Insurtech UK is an alliance of 41 insurtech startups and brands. Its founders have come together to speak with one voice about specific insurtech-related issues and needs arising out of the technological revolution in the sector. Its mission is to use technology to improve insurance and risk management for customers, and make the UK the best place for innovating insurance in the world. OIX (Open Identity Exchange) is the UK arm of a global organisation working directly with governments and the private sector developing solutions and trust for online identity, specifically for the British citizen. OIX UK works closely with the Cabinet Office on the Identity Assurance Programme. This is the development of the GOV.UK Verify service. The identity assurance process can also be applied to other, non-government websites where proof of identity is wanted. The OIX goal is to enable the expansion of online identity services and adoption of new online identity products. The Pensions Administration Standards Association (PASA) promotes and improves the quality of pensions administration services for UK pension schemes. The Personal Investment Management & Financial Advice Association (PIMFA), formerly the WMA & APFA who merged on 1st June 2017, represents firms who help individuals and families plan for their financial life journeys. SMPG has established a local presence in more than 30 countries through National Market Practice Groups (NMPG). These groups comprise of broker/dealers, investment managers, custodian banks, central securities depositories and regulators. SMPG has been extremely successful in creating globally-agreed market practices which have brought the securities industry closer to achieving Straight Through Processing (STP). The UKFMPG is the investment funds NMPG for the UK and a constituent of the Investment Funds Working Group of the global SMPG. SWIFT is a member-owned cooperative through which the financial world conducts its business operations with speed, certainty and confidence. More than 10,000 financial institutions and corporations in 210 countries use SWIFT every day to exchange millions of standardised financial messages. TISA is the premier industry-funded body working with the retail financial services industry, political parties, HM Treasury (HMT), HM Revenue & Customs (HMRC) and the Financial Conduct Authority (FCA) to enhance and improve the range, features, benefits, promotion and quality of savings and investment schemes available to all UK citizens. TeX is a not-for-profit organisation that manages and runs the complete set of non-commercial contracts between parties, covering standards, service level agreements and matters of liability and concerning all aspects of transfers. All TeX members sign up to conforming with the agreed service level agreements, thereby ensuring both cash and in-specie transfers will be completed in a timely manner. The-Pensions-Net-Work is chaired by John Moret, and is a membership based standing conference in pensions and employee benefits which meets four times a year to consider matters of importance to the industry. It allows time to listen to leading experts and opinion formers and debate possible ways forward. The UK Crowdfunding Association was formed with the purpose of promoting the interests of crowdfunding platforms, their investors and clients. The UK Crowdfunding Association represents crowdfunding platforms with operations in the UK.